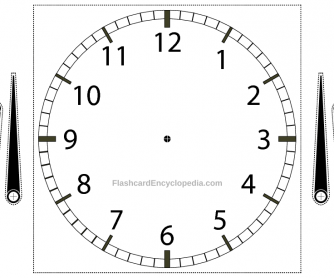 This handout from Flashcard Encyclopedia is an ideal alternative to awkwardly handling a large set of cards to teach time to ESL learners. 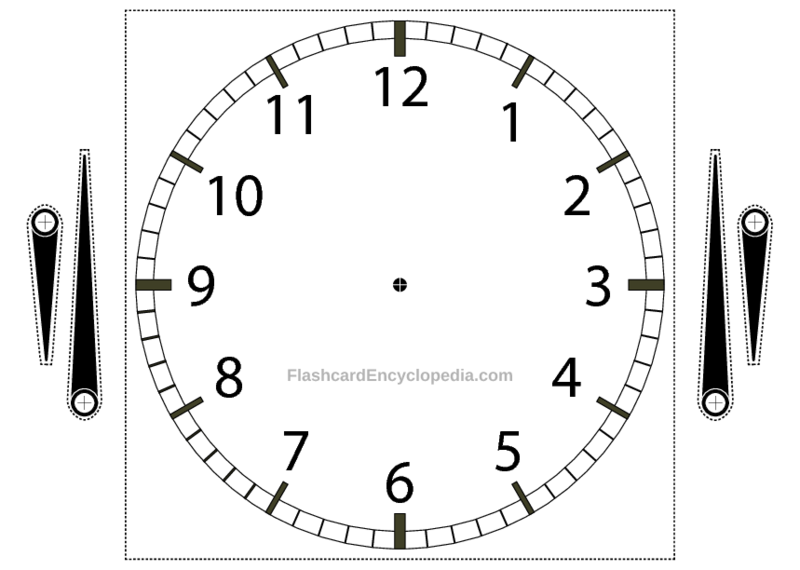 The card prints out conveniently onto A4 and requires the teacher to cut along the dotted lines for both the clock handout and the clock hands. Then, use a split pin to pierce through the "+" mark on each clock hand and the clock itself in order to group them all together. The flashcard can then be used to demonstrate different times of the day to the students. TIP: Put tape over the point you’re going to put the split pin through first, it’ll re-enforce the point and make the hands move more easily. If you have access to one or are feeling fancy you can always laminate it!